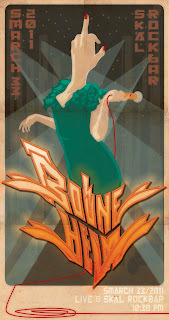 Did this on a lark for a friends band called Boone Helm. It was kinda based around the band's text logo (designed by Elicser) so I just went with it. There are so many things I love about this poster Graham. Nice work! Concept Sculpts For Zombie Puppets!